Who doesn't adore gorgeous books? Mia Rae Benenate is the editorial director of Art Publishing Limited, and the books they produce are breathtaking. I'm thrilled Mia is here to answer my questions. Thank you, Mia! What is Art Publishing Limited? APL is a venture financed publishing company that provides the ultimate experience in limited edition literary objects d’art. We believe in the power of art to ignite the imagination, stimulate thought, and provide entertainment. We strive to provoke thought in the arts community, and support the role of art in our society through our publications. Becky Benenate, formerly of New World Library, and I founded the company in 2009. What sets APL apart from other niche publishers such as Taschen and Assouline? What we create are literary objects d’art—the art is not an afterthought for us, it’s the primary thought. We specialize in limited edition print runs, so each book is painstakingly put together to be a piece art itself. We’ve also carved out a name for ourselves, in addition to our limited editions, by creating limited artist editions as well, which come with original artwork by the artists our books feature. This element is something that our customers appreciate, as not everyone is at a point where they can invest tens of thousands of dollars on a piece of art. Our artist editions, which range from $500 to $2,500 make collecting art an approachable concept to a wider demographic of art lovers. What are some available titles available? 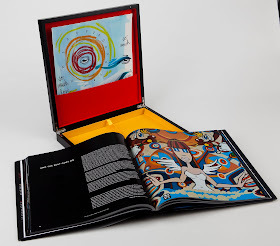 Our first book, “Inspired By The Beat,” was a collaboration between Art Publishing and LEBO, the artist who has rocked the nation, from his live performances with top musical acts with the Beastie Boys, Thievery Corporation, Willie Nelson and many others. This title was really fun to work on, because as a music lover, I was introduced to many new artists—especially Jazz musicians—through LEBO. It was also an incredible learning experience on the possibilities of manufacturing: we were able to produce a mahogany case inlaid with a silver LEBO medallion to house the book, and include an original watercolor. Traveling to Hong Kong and South Korea to visit the printing and manufacturing facilities was an amazing experience. 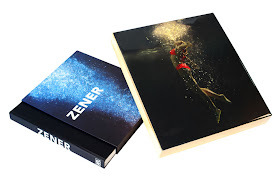 Our other title out to date, “Zener,” is a large format, full-color, limited edition book featuring the current artwork (2000-2010) of prolific hyperrealist painter Eric Zener. A collection of over 150 beautifully reproduced images is accompanied by the writings of scholars, critics, fellow artists, poets, collectors and dealers – all of whom are accomplished in their own right in the art world. What was interesting about this book was that we were able to include an original resin piece by the artist in the deluxe artist edition. They are available on our website http://www.artpublishingltd.com/new/, through Amazon.com and specialty boutiques. What are you are working on now? The most important project we’re working on at the moment is a retrospective spanning the 30 year career of Blek le Rat, aka, Xavier Prou. Acknowledged by many as the “godfather” of stencil graffiti, Blek le Rat’s work has influenced street art icons such as Banksy and Shepard Fairey—and has done so for generations. At the conception of this project, I was introduced to street art and have since realized how important it is to the history of art as a whole. Street art has been quietly gaining momentum for years and is finally acquiring the notice of the mainstream with museum participation, such as LA’s MOCA Street Art Show last year. Street art has become one of the most important art movements in history and I feel lucky to be a part of it in some small way. Living in San Francisco, where APL is headquartered, I am also lucky to be in the middle of one of the epicenters of the street art movement, along with London and Los Angeles. We have a huge contingent of street artists here in this city with many organizations dedicated to covering and working with the artists such as the Arts Fund, so I’ve had the unique opportunity to become something of an amateur expert on the subject! At times, I feel that what my exposure to the inner circle, is a taste of what it must have been like to be a part of Warhol’s Factory. The Blek le Rat anniversary edition, titled “Blek le Rat,” features the artist's private family photos, point and shoot images of his graffiti artwork from around the world, and full-color reproductions of his gallery pieces. The book is separated into two distinct sections: "Street Art" and "Fine Art," both of which are augmented by the writing of celebrated scholars, critics, fellow artists, journalists, collectors and gallerists. Lavishly illustrated with more than 150 images, "Blek le Rat," the 30 year anniversary retrospective offers the first full history of this seminal artist's tradition and legacy. Blek le Rat sounds intriguing! It’s really interesting. . .Blek le Rat has never south the media attention as do other artists in his field—Banksy being a prime example. To an artist like Blek le Rat, it is the conversation between himself and other street artists, and passersby, that makes the art important. For him it is about the dialogue opened through his work and those that interact with it. He is, however, one of the most referenced artists by other artists, which legitimizes him in a way that the media and critics simply can’t. When I was first introduced to Xavier and we discussed doing a large format limited edition book, I couldn’t believe that such an incredible opportunity had fallen into my lap. Until 2000, Xavier had never had a public exhibition of his work and it was because he conscientiously objected, feeling that his art was a gift to people. It’s an honor to be a part of the continued birthing of his public career. You’ve piqued my interest, when will the Blek le Rat book be available? Where would you like to see APL in ten years? In ten years this company will be recognized as an authority on contemporary art and a benchmark for taste. As an executive in the publishing industry, I’ll do everything within my power to promote literature and I know that if we continue publishing on topics that are fashionable and have historical relevance, our goal will actualize organically.